There have been some interesting cameras announced at NAB 2014, and probably each and every one of them have taken us by surprise. All the speculations and rumors turned out to be wrong (so far at least!). This article outlines my opinions on the cameras released so far. It will be revised and updated until the end of NAB 2014. 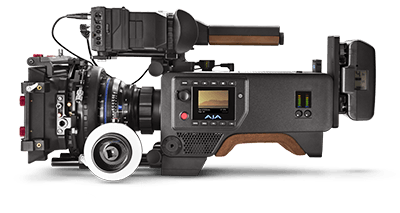 I have written about the Blackmagic Design URSA specifications and features here. It is easily the most exciting camera announcement at NAB 2014 – 4K with a 10″ monitor, XLR inputs and an interchangeable sensor, all for about $6,000 – what’s not to like? Blackmagic have made it a trademark to ship products late. The July shipment date is something I’ll never take seriously. In fact, going by precedent, one should not expect the camera to ship in numbers any time before December 2014. Sorry, Blackmagic Design, you have disappointed people once too often. Blackmagic Design have not updated the original firmware of the BMCC yet, and the Production Camera 4K does not have RAW recording yet, even though both were promised what seems like ages ago. Today, they claim the URSA is future proof. Really? What if you release another two cameras next NAB? Black spots, white orbs, noise, moire – the problems that plague low cost sensors and rushed engineering efforts are evident, and have been borne out. Is there really a need for this camera? It’s $3,000 more than the production camera, but does it really deliver that many features that are actually useful? The camera weighs 7.5 kg (16.5 lbs). The Alexa weighs about the same! It’s not a small camera anymore, and with lenses you’re looking at a sizable profile. They say you no longer need a rig, but instead you’ll need to change your slider, jib, gimball and whatever else you bought for your DSLR. Yet, you can’t fault them on one thing, and that is the image quality delivered at this price point. In this respect they stand alone. However, I find it amusing (and sad) that the original BMCC has the best image quality of all the cameras. The second one was inevitable, I guess, but is a serious piece of equipment for just black and white. Regarding the first, I feel a bit ‘meh’. Why? Who is this camera for anyway? The Scarlet was supposed to be a camera for the low-budget indie filmmaker. Raising the price point of a ‘Scarlet’ just to keep up with the Epic seems strange. After all, why not buy the original Epic instead? The Epic-X is $17,500 (brain only). The Scarlet Dragon is $14,500. The upgrade is $9,500. 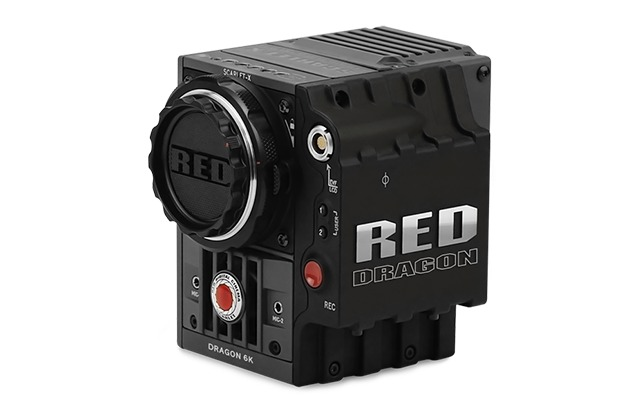 The Scarlet Dragon can do 12 fps in 6K and 30 fps in 5K. The Epic does 120 fps at 5K. It has enough dynamic range for possibly every indie project. Can someone tell me where the Scarlet fits here? The extra $3,000 you spend can be recovered at resale, since the Epic holds its price better than the Scarlet. So strange of Sony! It must take some sort of superior marketing talent to come up with a camera that ‘promises’ so much on first glance but will probably fall short of the FS700, FS100, F5 and F55. I have written in detail about the Sony A7s here. What are my thoughts? As a personal investment, I’m tempted. It’s a smaller camera for my photography, and with an ISO of up to 100,000 I can still take usable images and video at 20,000 ISO. This rivals the C300 in low light. It will be extremely interesting to see a head to head video fight between the GH4 and the A7s. Some people are hung up on the 8-bit vs 10-bit difference. There’s nobody on earth who can see the difference, and I suggest you ignore these people. I am waiting to upgrade my Canon gear and the A7s looks like a great option. Of course, I’m probably going to hold out until Photokina this year. There is time, the Shogun will only ship in Q3 anyway, so why hurry? This Super 35mm global shutter camera records 12-bit Prores in 4K and comes with a PL mount. Internally, it can record 4K in 60 fps, while externally, it can go up to 120 fps. It can also record 4K at 30 fps via Thunderbolt. Now that’s what I’m talking about. It comes in a shoulder mounted configuration with XLR and SDI inputs. The only ‘negative’ to me is the PL mount. An EF mount would really have made this special. Why, AJA? Price? It’s expected to cost about $8,995, and I’d say this is an easy winner over the URSA on paper. Now the question is, who will deliver the better image quality and the best service? Digital Bolex has a surprise up its sleeve, and that is the monochrome version of their revolutionary D16 camera. What do I think? I think Digital Bolex needs a pat on the back, in fact, a million of them. It’s no mean feat to get a camera out in the market, let alone two. Unlike Blackmagic Design, this camera is going to ship and I believe them. Unfortunately, the price, form factor and features of the Digital Bolex camera are not what I’m looking for. JVC introduced the world’s first handheld 4K camcorder (whatever that means), and they invented HDV, so this company does take risks – without taking them. Is it just me, or has anybody noticed the discrepancy between the Super 35mm sensor and the micro four thirds mount that does not cover that size? I feel JVC is shooting in the dark, waiting to see what the market demands. Safe strategy, and wise. But not exciting. Anyway, let’s not forget JVC is not shooting for the cinema crowd, but the broadcast space. That world is in the dark ages, so we shouldn’t be too hard on them. 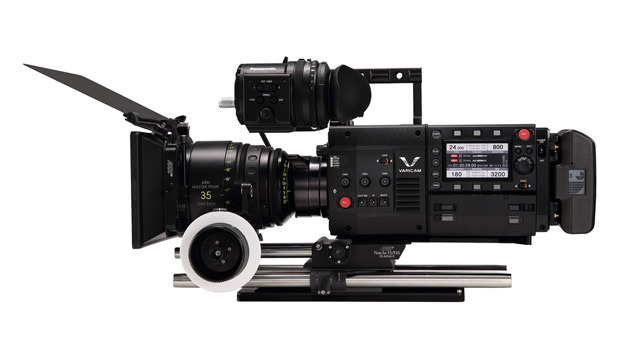 VariCam 35 has a Super 35mm sensor that shoots 4K (4096 x 2160) in AVC-ULTRA at up to 120 fps. The camera claims a dynamic range of 14 stops at least, which of course, we’ll need to see to believe. The HS model has a 2/3″ sensor and shoots 1080p at 240fps in AVC-Intra Class100, Class200 and Class4:4:4. Both cameras use the new expressP2 media cards. Price? Do you really want to know? The Varicam 35 costs about $60,000 while the HS has a price of about $55,000. theSUBVERSIVE PL cannot be adapted to EF, however EF can be adapted to PL and it is easier to put a dumb adapter on a smart mount than build a smart adapter for a dumb mount… and there are far more people with EF glass than PL… The market for EF glass is an order of magnitude greater and more diverse than the PL market. A lot of lens manufacturers are starting to make cine lenses in EF. I think that the AJA CION not having an EF Mount is a great thing, the PL can be adapted to EF and others while the EF can’t, for this camera you wouldn’t use AF anyway. That’s the reason why BMD made a second version of the BMCC with M4/3 mount, because the EF was a huge limitation in terms of mount and there are also plenty of people with PL glass and it would be a waste on an EF mount.